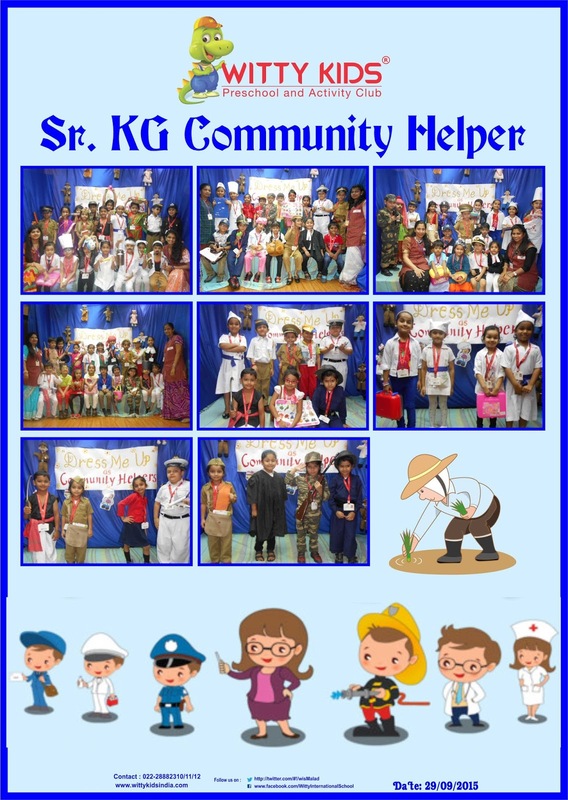 WIS welcomed their little community helpers on 29th September 2015, as the children of Senior KG section came geared up for their “Dress Me Up" as a teacher,doctor, carpenter, pilot, vendor and so on. Each child either sang a song or spoke a few lines on their respective community helper's and the others joined in. Children received cheers and encouragement from their fellow mates which boosted their confidence and helped those with stage fright overcome it. 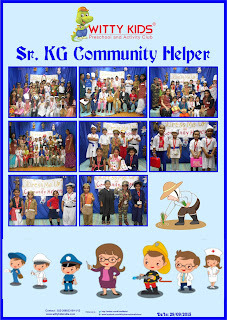 Such activity enhances the child’s confidence, builds imagination and helps them gain a better understanding of the world around them and makes them appreciate the services rendered by the community helpers.